U is for Universities | The Tales of Missus P.
Northumbria University is just one of the many universities and colleges in Newcastle-Gateshead. There is also Gateshead College, Newcastle University (we went to the Hancock Museum there to see mummies and a dinosaur), Tyne Metropolitan College, and Open University for online classes. 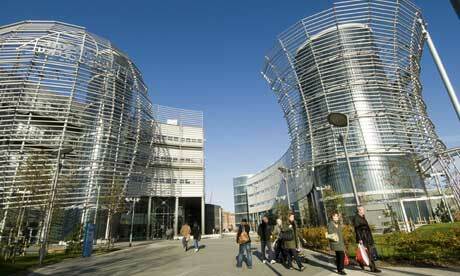 Northumbria University is an academic institution located in Newcastle upon Tyne in the North East of England. It is a member of the University Alliance. In terms of student numbers the University is the 5th biggest in the UK and the largest in the North East. It also includes the North East’s largest community of taught postgraduate students, ranking in the top 10 biggest providers of taught Postgraduate degrees in the UK. Gateshead College is a further education college in the town of Gateshead, England. Established on November 15, 1955 at Durham Road in Low Fell, Gateshead, the original campus was closed as part of a planned move in January 2008. The college moved into a £39 million new main site located at the Baltic Quayside in Gateshead. Also opened during the move was an academy for sport based at Gateshead International Stadium and a skills academy for automotive, manufacturing, engineering and logistics. A skills academy for construction opened in summer 2008. The college has recently been given an outstanding Ofsted report, with grade 1 ratings in all six areas. It is now ranked among the top 20 in the country.